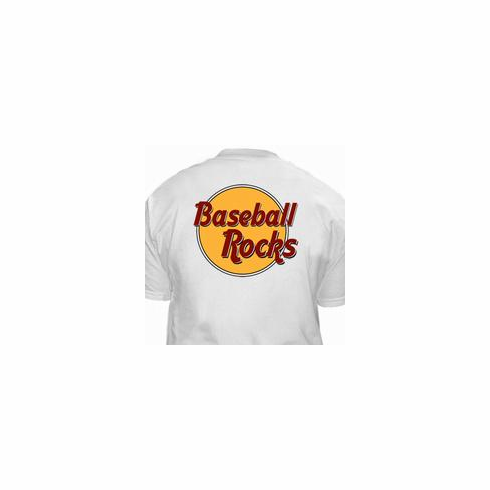 These Baseball Rocks short sleeve t-shirts are great for anyone who loves baseball. Yellow circle Baseball Rocks graphic is screened on the back. Manufacturer's "C" logo is screened on the left chest. Available in gray or white. 100% cotton.